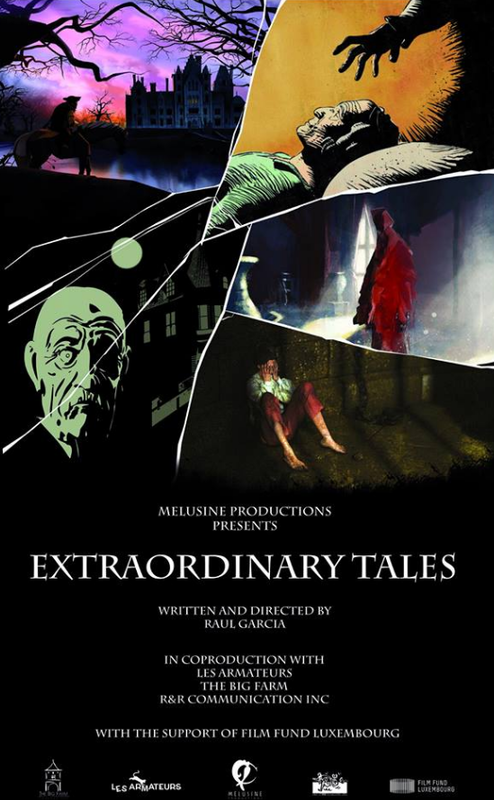 Extraordinary Tales is an animated anthology of the classic Edgar Allan Poe stories The Fall of the House of Usher, The Tell-Tale Heart, The Facts in the Case of M. Valdemar,The Masque of the Red Death, and The Pit and the Pendulum . The 70-minute film features the voices of Bela Lugosi, Christopher Lee, Roger Corman, Guillermo del Toro and Julian Sands. 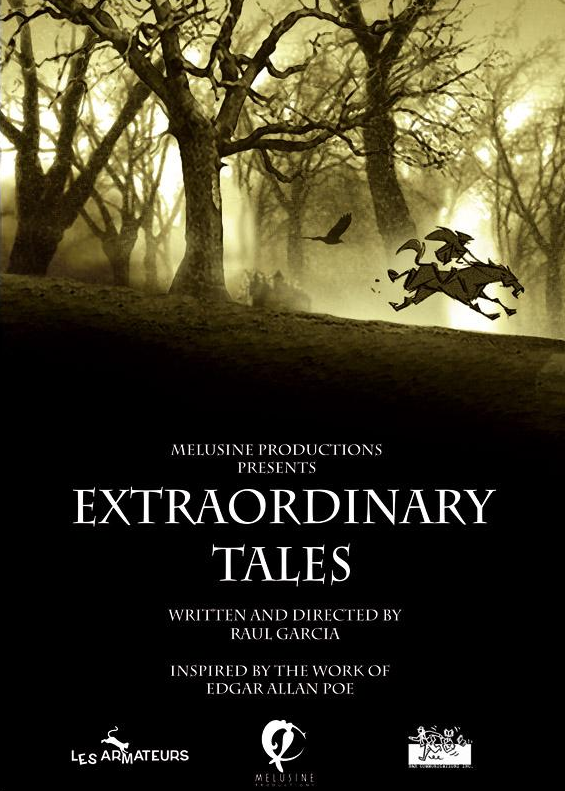 Each of the performances were specially recorded for the film with the exception of Bela Lugosi’s for The Tell-Tale Heart, which was recorded in the late 1940s. Lugosi, who toured a dramatic reading of the story in 1947, is thought to have recorded the tale for radio syndication.